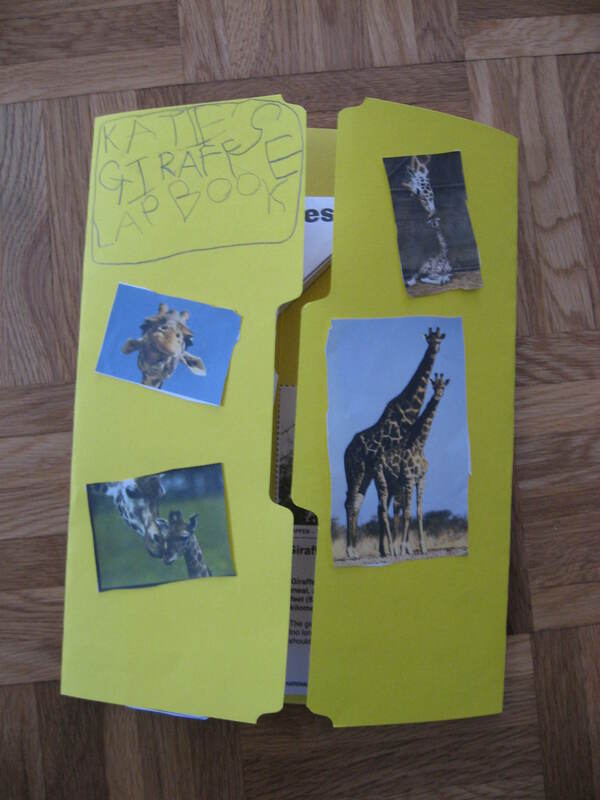 Re-entering the World of Lapbooking — Giraffes! It was a fun mother-daughter activity and we both learned a lot. 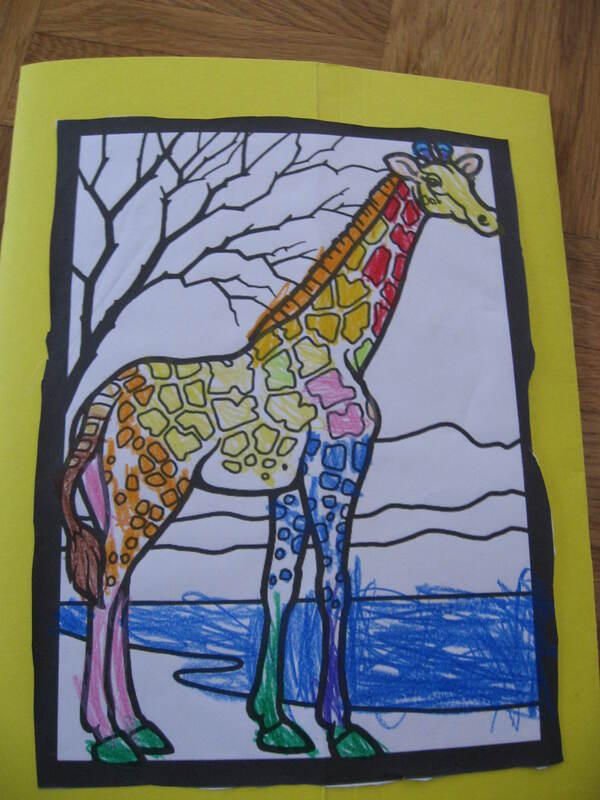 For example, who knew that giraffes eat the leaves AND the thorns of the acacia tree, that their hooves are a foot in diameter (making them larger than our dinner plates) and that baby giraffes drop six-feet at birth and land on their heads, a process that is apparently necessary to start them breathing? 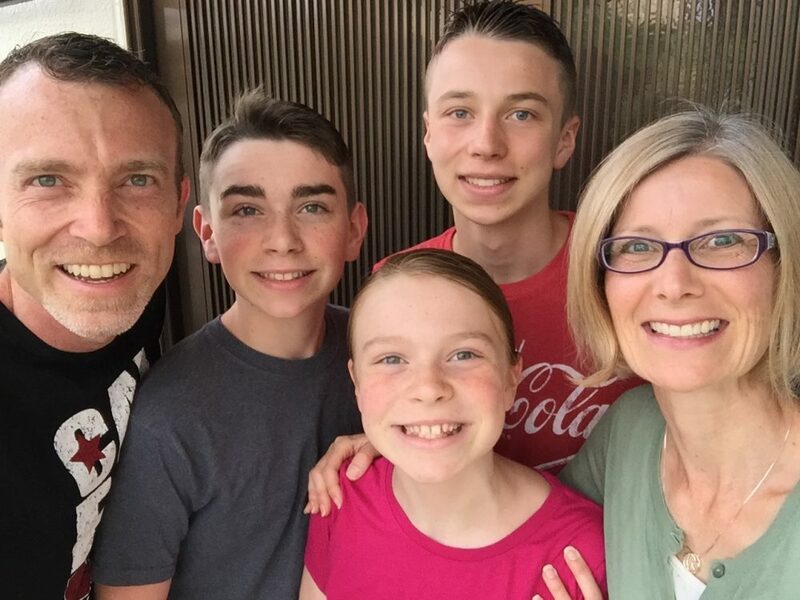 We both came away with a new appreciation of these incredible creatures that God made and we agreed we were thankful that we didn’t have to make a six-foot drop on our heads at birth — Ouch! 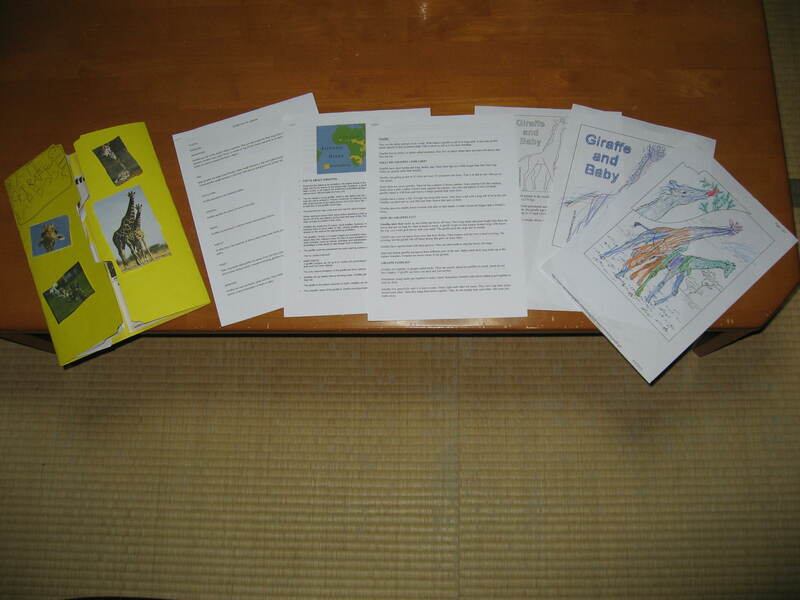 Lapbook with the internet resources we printed out to do the project. 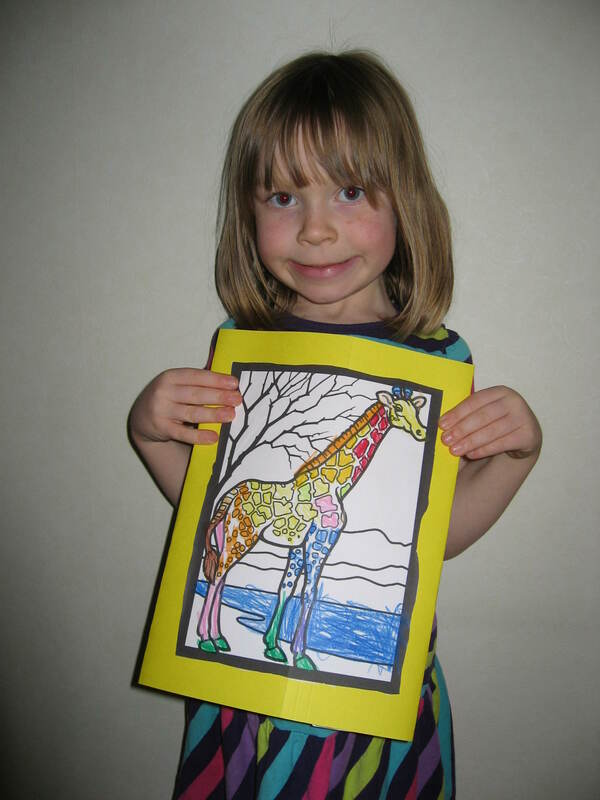 Proudly showing the picture on the back that she colored. Modeling with the front cover. Proud lapbook maker showing the inside with all the mini books. The back of the lapbook. 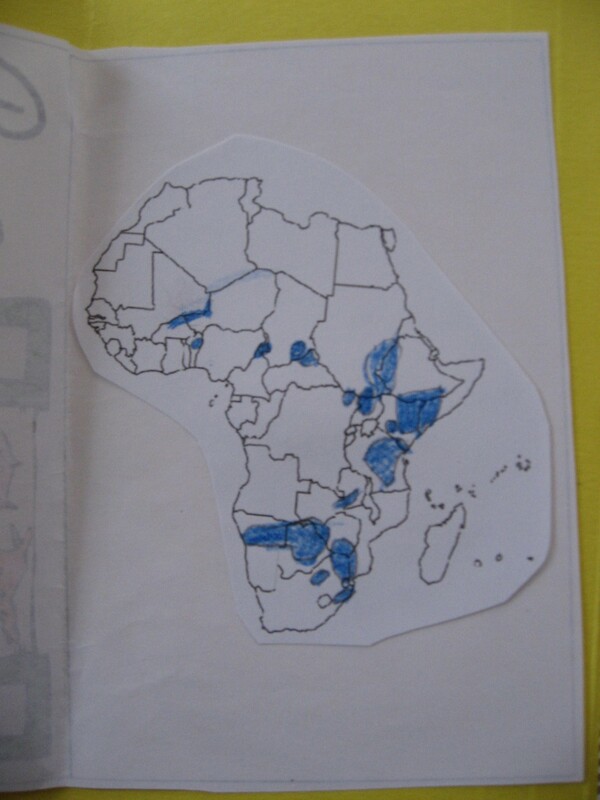 This is a map showing the areas in Africa where giraffes live. Katie used another map for reference and colored in the locations herself. 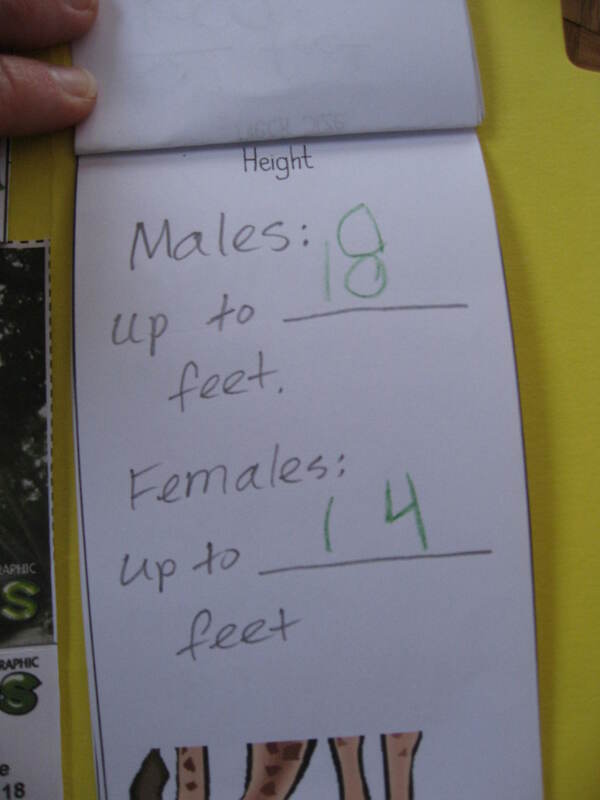 Katie filled in the blanks with the correct numbers and we got out a ruler to estimate how big that would be. 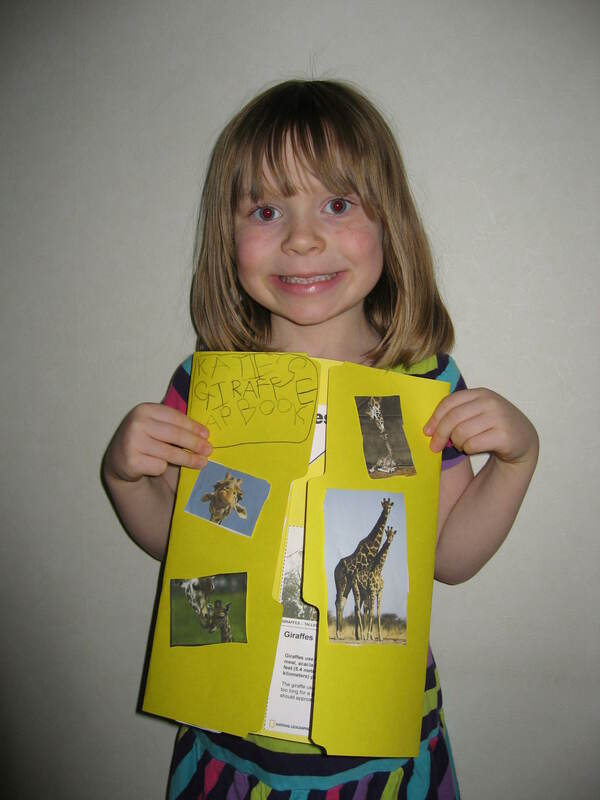 She was surprised to learn that a male giraffe is three Grandpa Bobs tall! 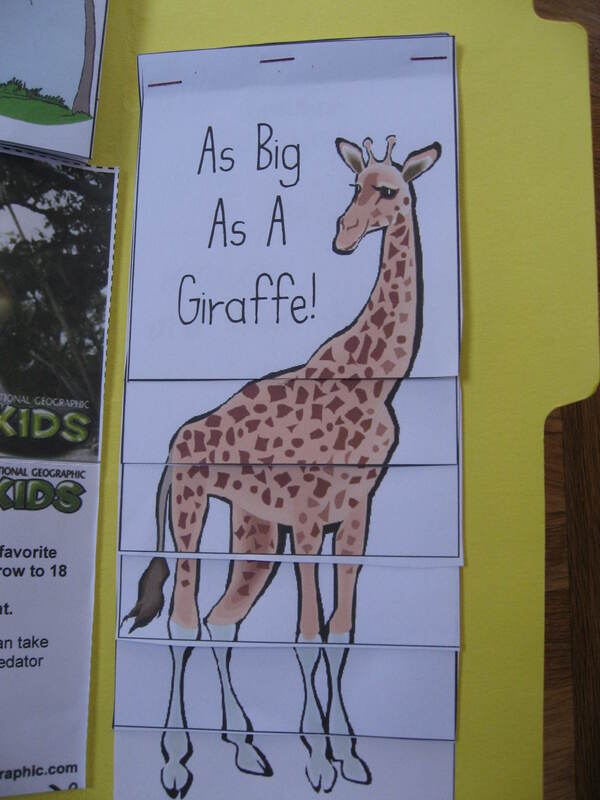 A mini-book with statistics about the size of different giraffe parts. 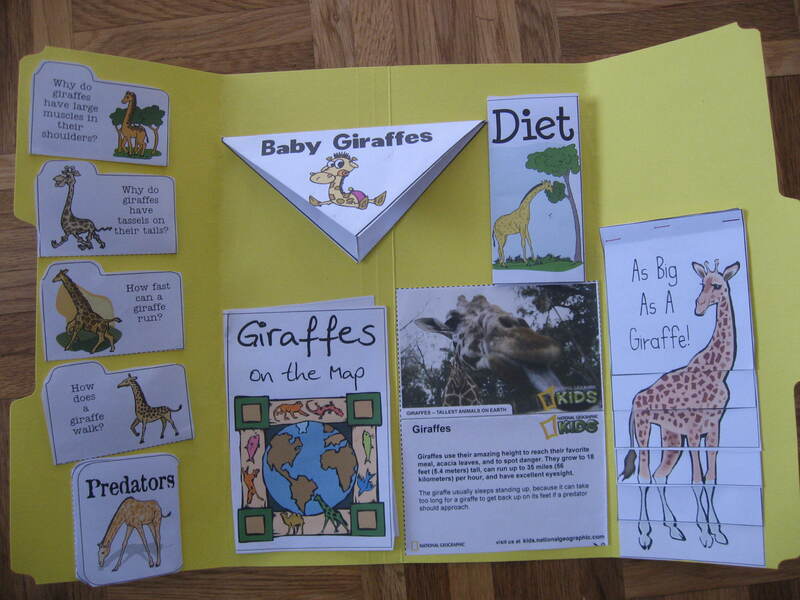 A mini-book about what giraffes are able to do fifteen minutes, an hour, a few hours, and a few months after they are born. 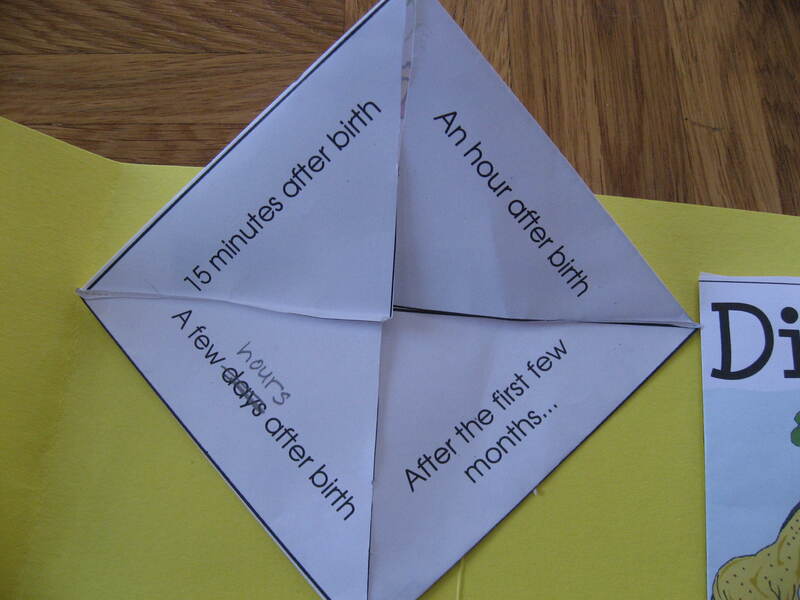 The answers are written under each flap. The inside of the lapbook. This is the front cover of the lapbook. 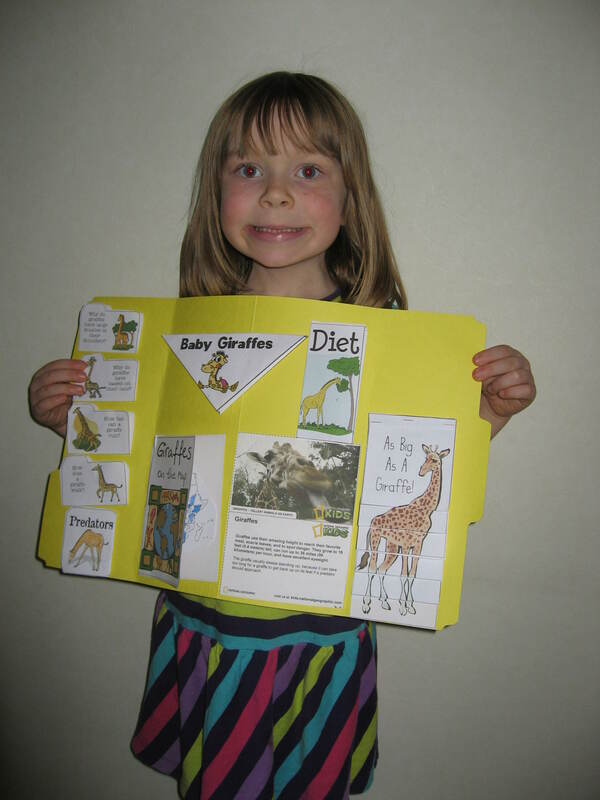 Katie wrote the title, cut out the pictures, and pasted them on all by herself.